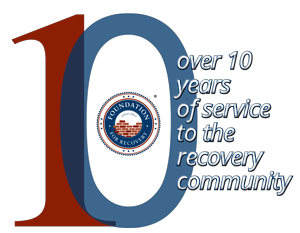 Foundation for Recovery works to compile a wide range of local information vital for people seeking recovery. 6200 W. Lone Mountain Rd. 120 N. Pavilion Center Dr.
350 N. Moapa Valley Blvd. 72 W. Horizon Ridge Pkwy. 8425 W. Spring Mountain Rd. 3570 Vista del Monte Dr.
2701 E. St. Louis St.
365 W. San Pedro Ave.
121 W. 1st N. St.
1401 N. Green Valley Pkwy. 145 S. Moapa Valley Blvd. 189 No. Moapa Valley Blvd. 400 S. Martin Luther King Blvd. 1301 E. Lake Mead Blvd. 1511 Las Vegas Blvd. N.
320 N. Moapa Valley Blvd. 7000 W. Spring Mountain Rd. 900 Las Vegas Blvd. N.
189 N. Moapa Valley Blvd. 1501 Las Vegas Blvd. N.
2432 N. Martin Luther King Blvd. 2755 E. Desert Inn Rd. 830 E. Lake Mead Pkwy. 3050 E. Desert Inn Rd. 800 S. Valley View Blvd. 3005 W. Horizon Ridge Pkwy. Las Vegas Family Clinic, Inc.
1311 S. Casino Center Blvd. 3021 W. Horizon Ridge Pkwy. 401 S. Martin Luther King Blvd. Westcare Youth Stabilization Young F.A.C.E.S. 2785 E. Desert Inn. Rd. ABC – Ace – N. LV – Vegas Western – Virgin Valley – Union Cab Co.
Yellow – Checker – Star Cab Co.
Fremont Primary Care W. Lake Mead Pkwy. 3940 Martin L. King Blvd. 520 E. Lake Mead Pkwy. 4700 N. Las Vegas Blvd.